This publication is available for sale from the IPS premises at No. 100/20, Independence Avenue, Colombo 07, and bookshops island-wide. For more details, contact the IPS Publications Unit (Tel: +94-11-2143107 Amesh – Publications Officer, +94-11-2143100 General). 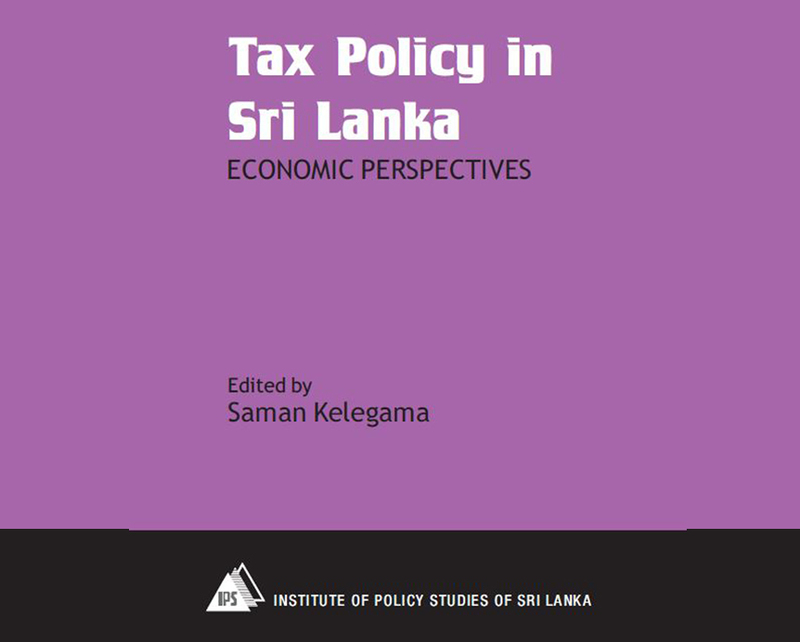 Summary: In recent years, Sri Lanka’s tax revenue as a percentage of GDP has been declining against the increase in per capita income of the country; revenue ratio has averaged around 13 per cent – far below the average of developing countries, which is generally close to 20 per cent. What are the factors behind the decline in tax revenue? Is the tax regime characterized by low elasticity and buoyancy? These are not the only questions that are addressed in this Volume. During the years of the war (from 1984 to 2009), Sri Lanka used a plethora of tax incentives to attract FDI and stimulate domestic production. Did these incentives contribute to erosion of tax revenue? Were these incentives effective in attracting FDI and enhancing production? What are the political economic factors governing tax policy? Are equity considerations taken into account when formulating tax policy? The list of such questions in Sri Lanka’s tax discourse is wide-ranging and the Volume sheds light on many of them. The insights to these questions are of contemporary relevance when Sri Lanka is shifting its growth and development path from a highly debt financed one to a more foreign and domestic resource earning one via enhancing exports, FDI and domestic resource mobilization. Sri Lanka’s debt levels remain high due to large scale borrowing in the past to finance fiscal deficits which resulted from the type of growth and development path pursued. The emphasis now is on debt sustainability, and for this purpose, a revenue based fiscal consolidation is pursued by the government, where enhanced tax revenue will be playing a key role. This remains a challenge. The chapters in the Volume shed light on these challenges both from the tax policy context and from the overall economy perspective.